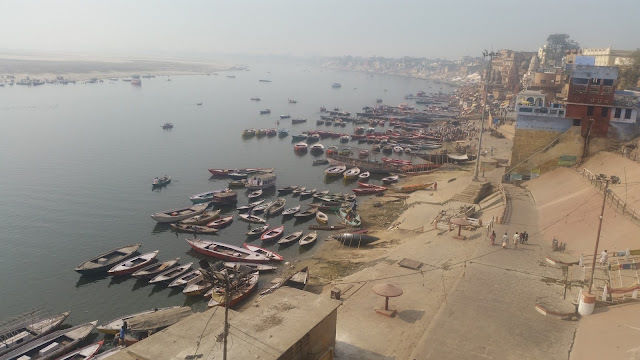 Varanasi is a city very very close to my heart. I spent the biggest chunk of my student life here, and the holy city has contributed to significant learnings and unlearnings that I have had. A return to the city after a gap of a decade was to soak in the spirituality of a place which is bustling and tranquil at the same time. The name itself signifies the philosophy of the city. Banaras is where the potion of life (“ras”) is ready (“bana”), you only have to drink it. 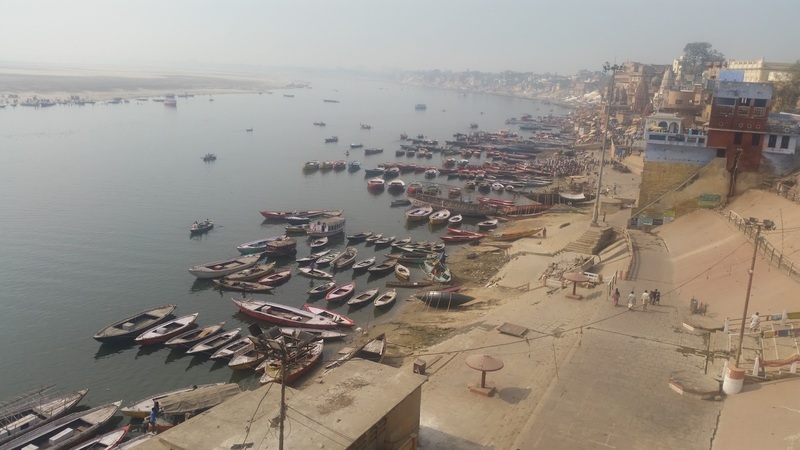 We were staying a Hotel Alka at Meer Ghat, at a walking distance to the famous Dasaswamedh Ghat as well as the Viswanathji temple. 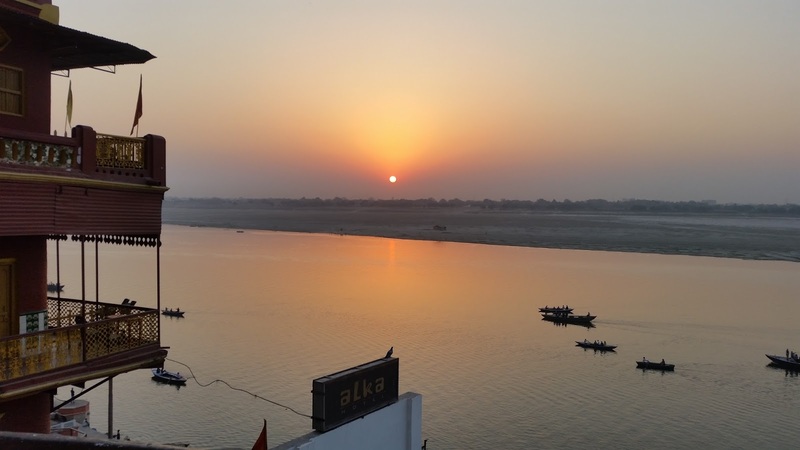 The serene Ganga at sunrise was an everyday gift, and we enjoyed our time ghat-hopping on foot as well as on a boat. 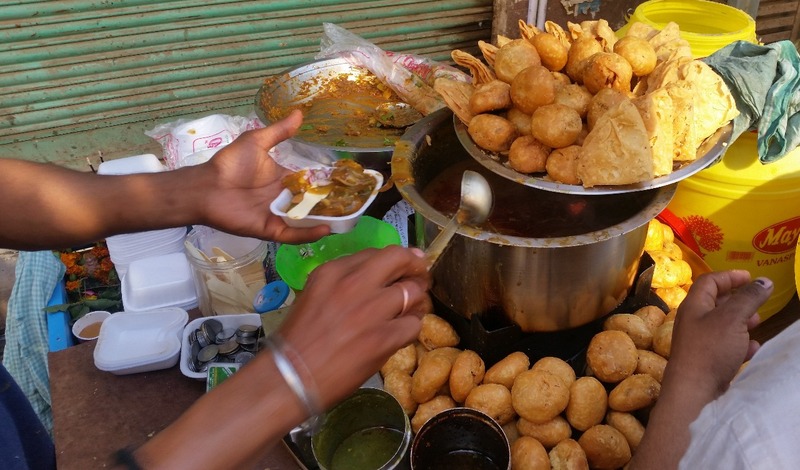 Another plus of this hotel is that it is close to Kachori Galli, Chowk and Godowlia, the three places known for street food in the city. 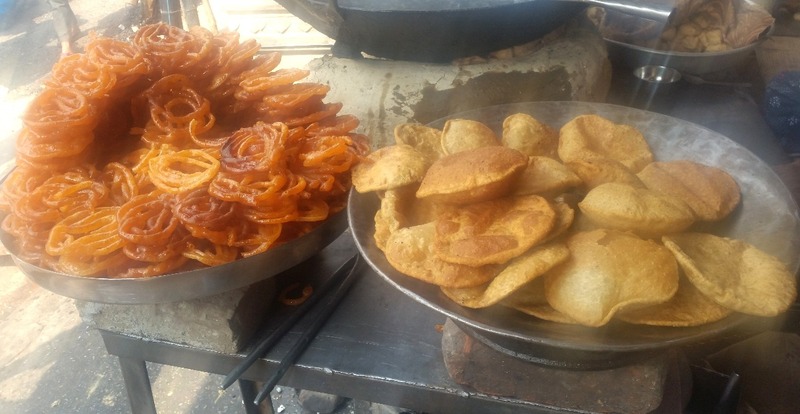 Banarasis love their snacks, and there are many variations of both namkeen and mithais in the city. 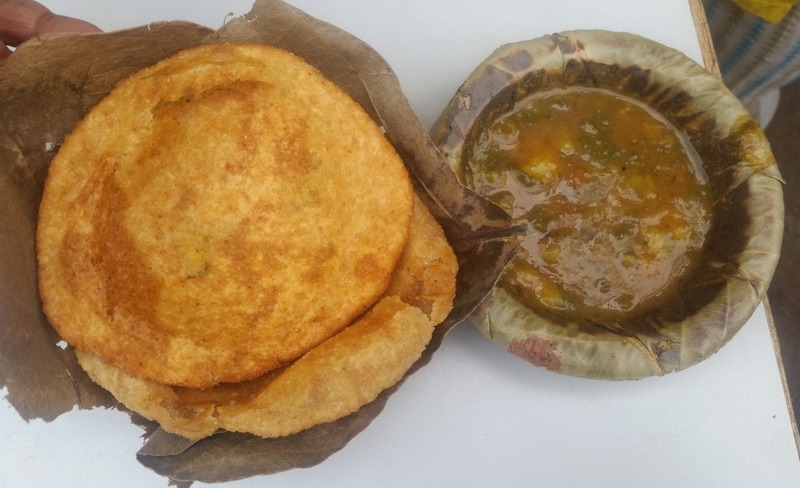 In the morning, kachori and jalebi combo is the most preferred breakfasts. 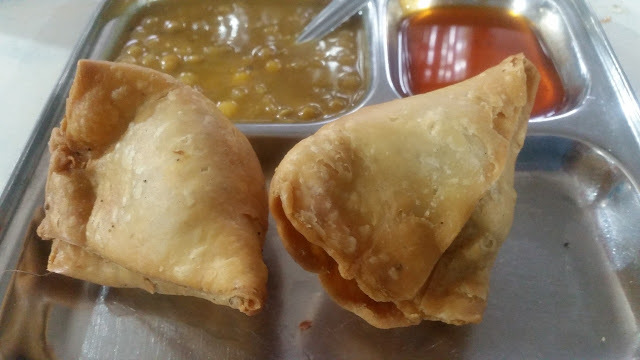 Samosa and lavanglata are preferred evening snacks, whereas lassi, rabri, and malai are enjoyed any time of the day. 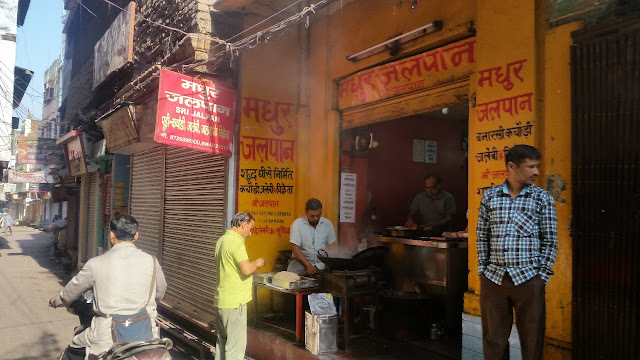 We reached the city around 9am, and right after dumping our luggage in our hotel, we wasted no time in rushing to Kachori Galli, a few minutes’ walk from the main temple. 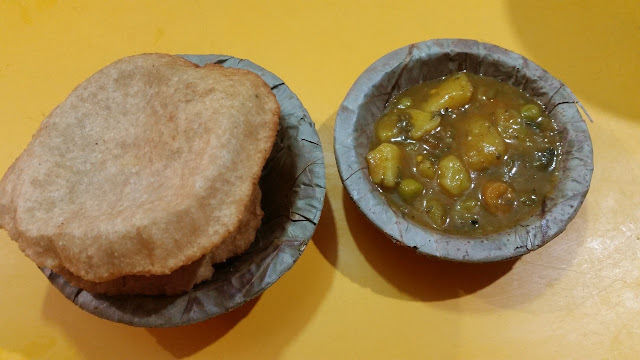 The most popular version of kachori in Banaras is made of whole wheat flour (atta), combined with daal and hing (which is supposed to have therapeutic properties) and a touch of ajwain. It is typically served with a ras wale sabji, which has potatoes as the main ingredients. 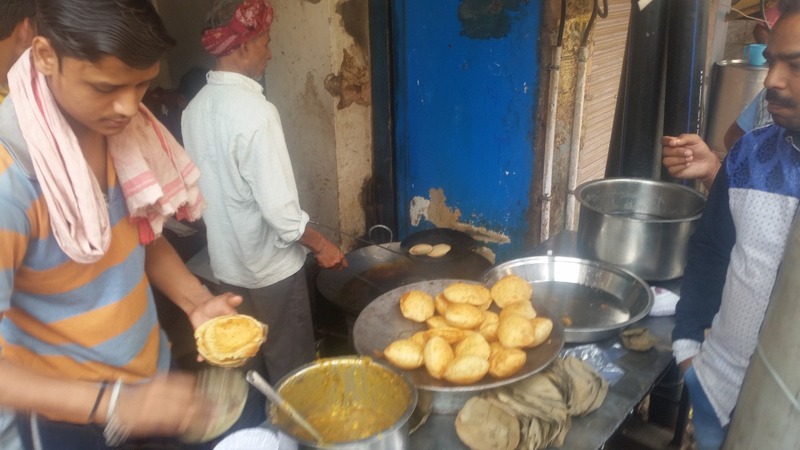 All Banarsis have their favourite kachori shop in their own area, and the differentiators are the amount of stuffing, the quantity of hing added, cooking medium especially ghee, size of the kachori, and not the least the quality of sabji served with it. 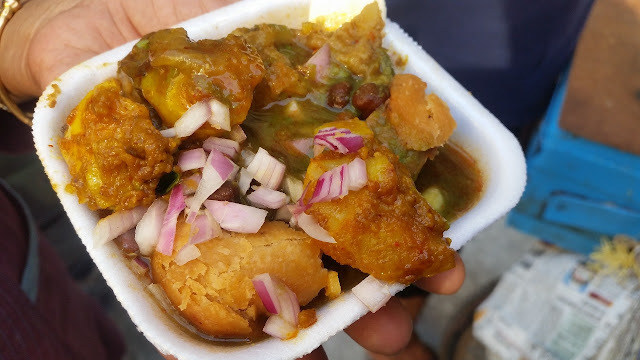 The sabji may have pumpkins, cauliflowers, peas and even raw jackfruits or lentil dumplings depending on the season and the place. Our first destination was Babulal. The small hole-in-the-wall place had been recommended by the owner of Rambandhu Sweets of Kachori Galli. Located on the Godowlia Chowk Road at a walking distance from the galli, one always needs to wait for the next batch here to get his share. A new batch of freshly fried wheat kachories vanishes in precisely two minutes. The hing flavoured round beauties are served with a hot sabzi made of alu and matar. 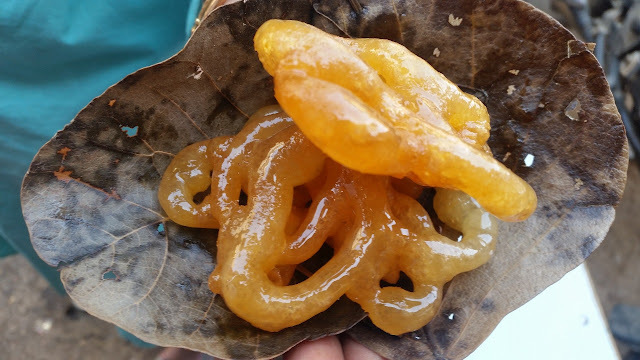 The jalebis here are big and as you bite into them, sugar syrup eases out. Each kachori and jalebi sells for Rs 6. The shop sells out and shuts much before noon. Over the next days, we tried out kachoris and jalebis in a few more places. Madhur Jalpan, in the lane next to KCM Mall on the same road, makes kachoris fried in ghee. The sabzi here had raw jackfruit and cauliflowers apart from the usual potatoes and peas. 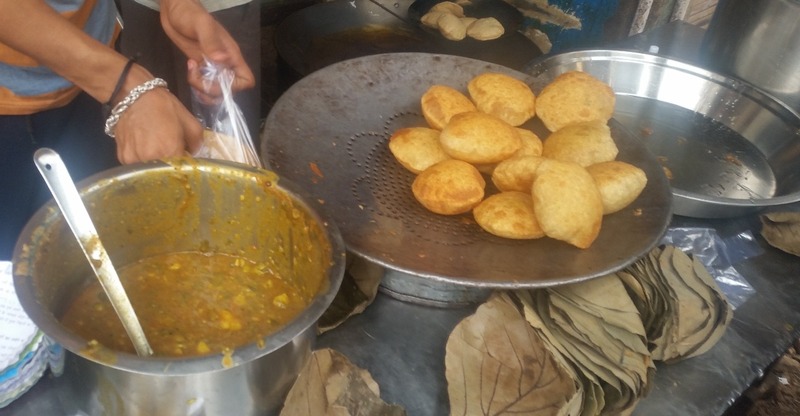 While the sabji was superb, kachori, however, was not as good as Babulal, though it cost Rs 15 each. Same goes for the jalebis. 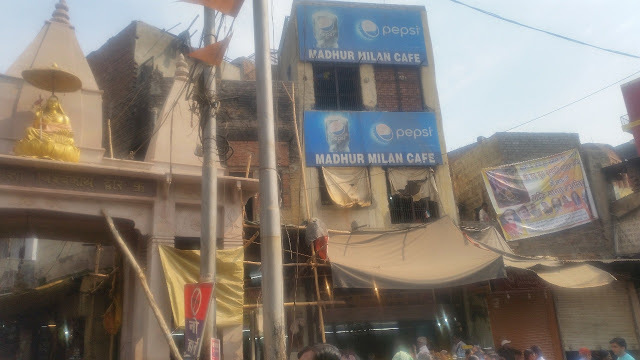 Madhur Milan on Daswamedh Road, next to Viswanath Phatak is also known for their kachories. However, I became more a fan of their samosas served with tamarind chutney and chhole. The crisp samosas had a wonderful peas-based filling, and the chhole served on the plate was perfect too. A cart opposite KCM Mall close to Godowlia crossing serves some delectable and round dal kachoris with alu dam and chhole for breakfast. A plate costs just Rs 15. Very near to it is a chai shop where you can enjoy the best adraki chai in a kulhar for Rs 5. Small vendors nearby also serve many varieties of kachories, one shaped like small balls stuffed with alu was being served with chutney. Across the river, huge stretches of land are inhabited by the cow herds who supply the best quality milk to the city. 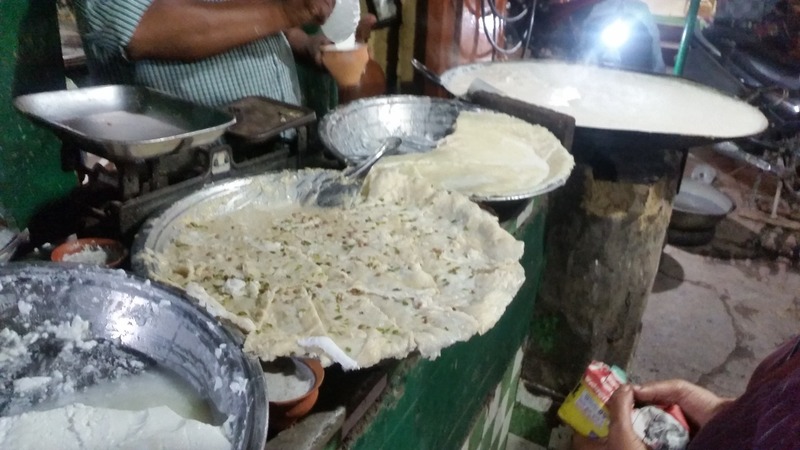 Milk products are part of life in Benaras, and lassi, rabri and malai here are not to be missed. Banarasi Lassi is different from the lassi found elsewhere in the country. Made out of extremely thick and creamy milk, it does not lack pulling any punches. 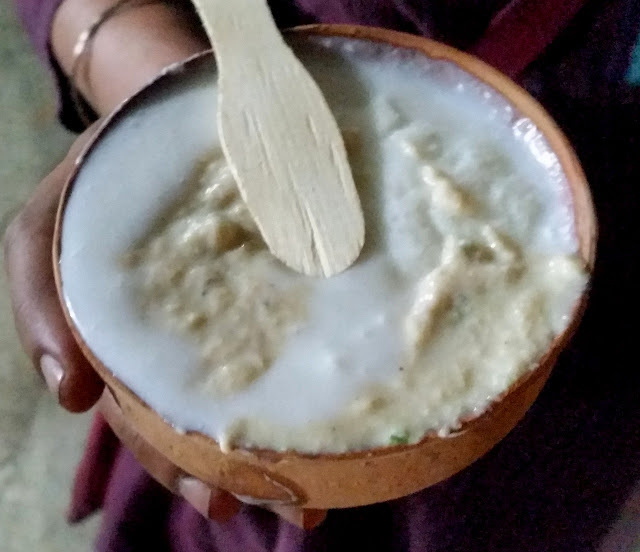 Served in large earthen glasses, it is topped with some delicious rabri and malai. 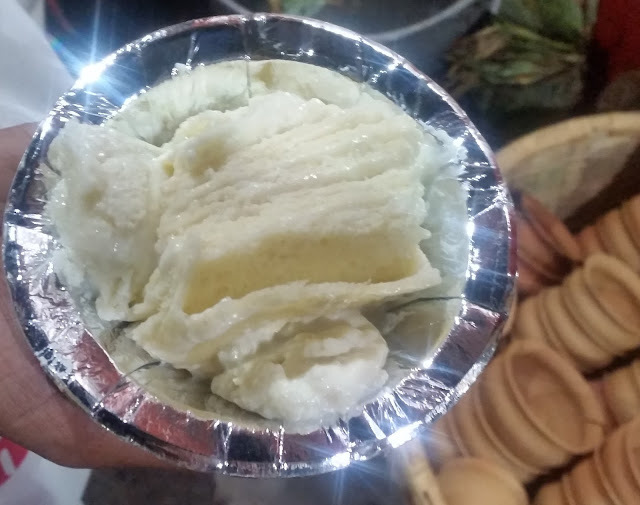 A small wooden ice cream stick accompanies the drink so that you have the option of combining the rabri and malai in your own desired proportion with the drink. Often you will find customers giving detailed instructions to the shops here to customize the serving. 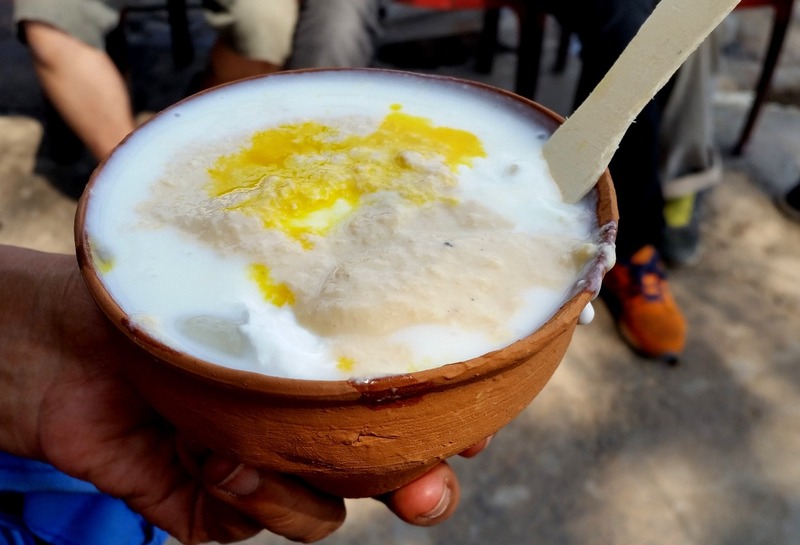 There are lassi shops galore in the city, and few of days have made a name for themselves. 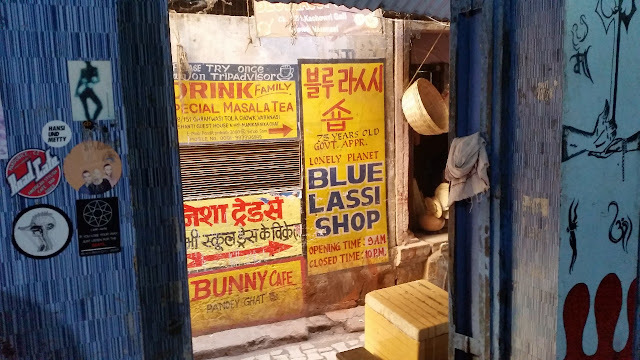 Blue Lassi near Rajbandhu in Kachori Galli is known for their fruit lassis made from a variety of fruits such as banana, apple, pomegranates, and blueberry. Their Saffron Cashew Lassi (Rs 110) is smooth and heavy, and it is their signature recipe. We visited this small shop twice to try out their various lassis, and both times the experience was very good. The shop seems to be popular with foreign tourists as they serve their lassi with many twists. The pomegranate lassi here is recommended. 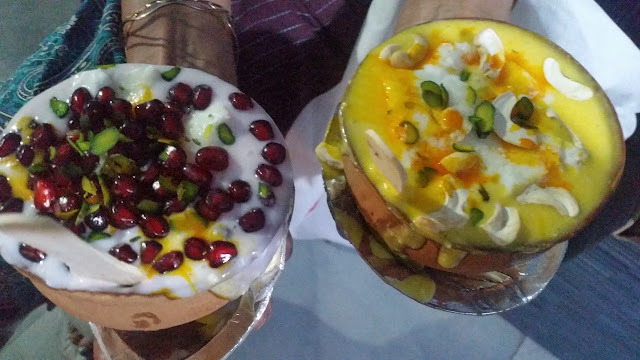 However, fruit lassi cannot replace conventional Varanasi lassi topped with rabri. 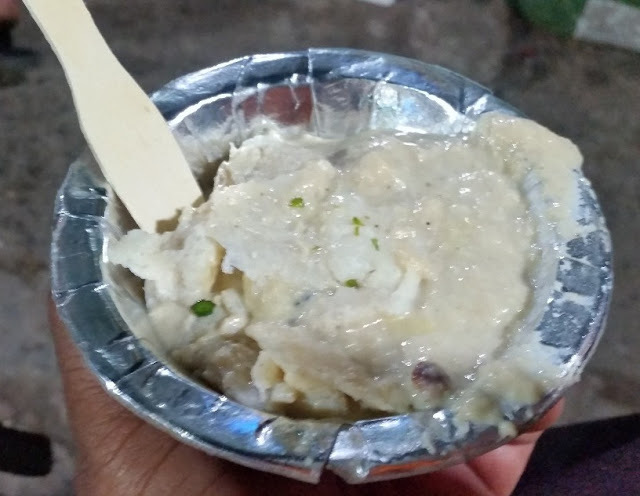 The shop bang opposite Girjaghar (a church at a stone’s throw from Godowlia) and close to Kashi Chaat Bhandar always has a crowd waiting for its lassis. They served the best lassi I had during the trip and some good rabri too, though I had much better rabri and malai at a roadside place opp KCM Mall in the Godowlia Chowk stretch. Pehlwaan at Lanka brings back a lot of nostalgia for me, as we used to frequent the place during our BHU days. Pehlwaan who used to serve the best quality of lassi in the city is no more now. After 35 years there were four Pehlwaan shops in that area, run by his sons and relatives, each of them claiming to be the original shop. We tried the lassi from the first shop, which was decent but seemed to be more dilute than ones I had elsewhere. Just like olden days, the place was full of students from BHU. 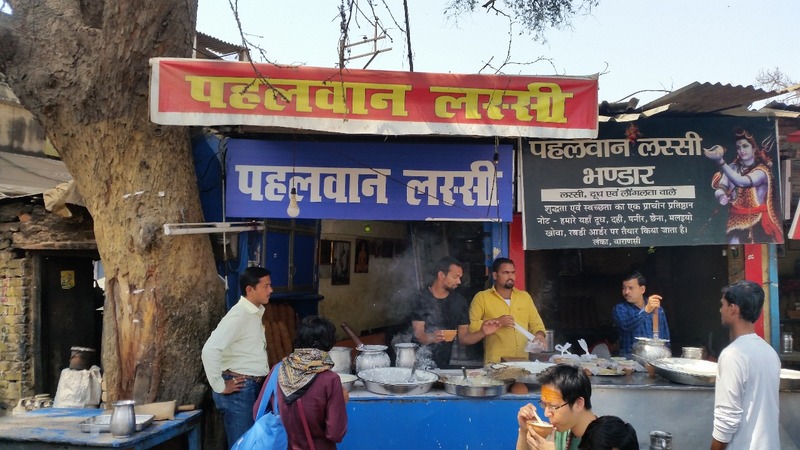 I had mainly restricted my food exploration to Chowk, Godowlia and around, and can talk about the places around this area. The choices available are simply mind-blowing. 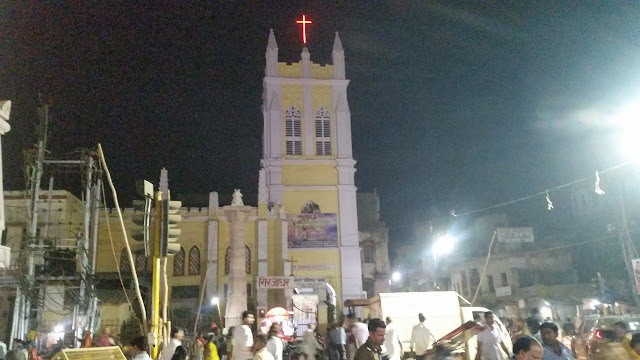 There must be hundreds of shops in this area selling kachoris, jalebis or rabri, and even at least 20 to 30 carts selling South Indian dosas and idlis, keeping in mind a large number of South Indian pilgrims visiting this city. 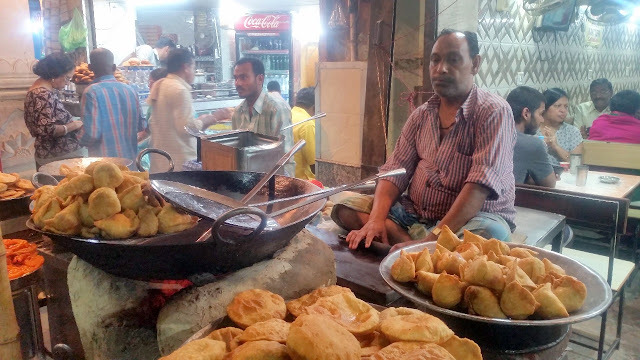 Likewise, wherever you decide to stay in this holy city, rest assured that your friendly neighbourhood kachori guy will serve some earthy kachori sabzi very close to you.